Pleasanton’s Luke Harlos (left) advanced to the regional tournament, which will be April 18-19 in Corpus Christi, by placing second in boys singles in the District 4A-30 meet. 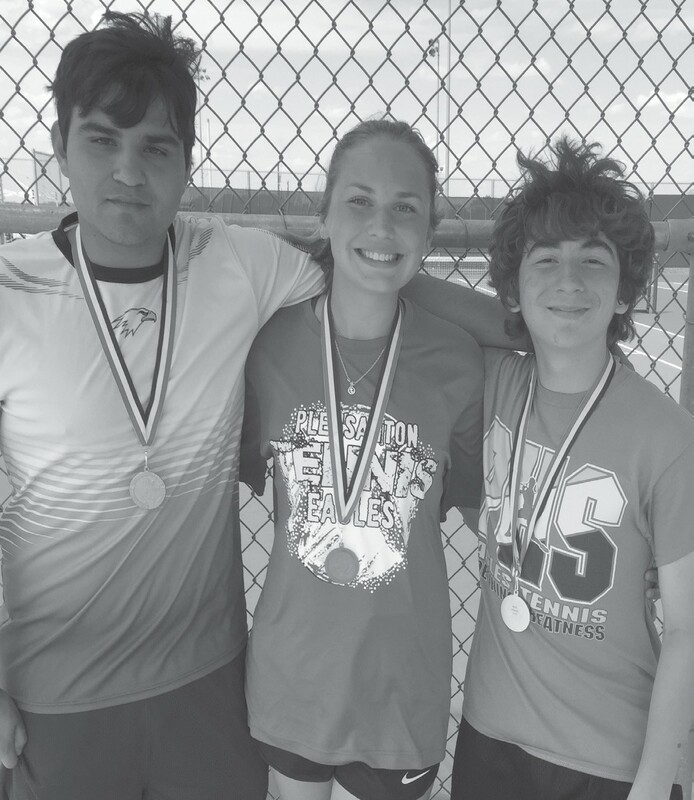 Avery Brymer (center) took third in girls singles and is an alternate for regionals. 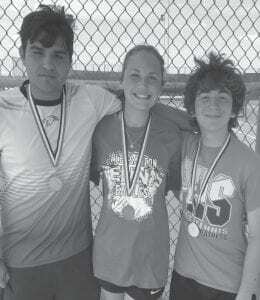 Wyatt Garcia (left) won JV boys singles.